It seems like the final parts of the political jigsaw in Sierra Leone are now being put in place. 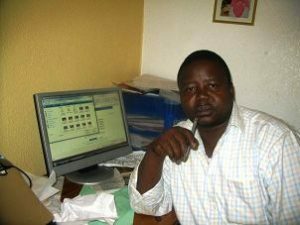 In December 2016, I wrote an article titled “Is it time for a third political party in Sierra Leone? But it will be ingenious to take credit for the current political offshoot that is mushrooming on our current political landscape today. It has seen the birth of the National Grand Coalition Party, apparently making waves and ripples on the political ocean. There is no denying the fact that there were other political parties, other than the proverbial APC and SLPP. We had People’s Movement for Democratic Change (PMDC), Citizens Democratic Party (CDP), People’s United Democratic Movement (PUDM) and a host of many others during the 2012 general elections. Like those before it, the NGC is seen as an offshoot of the SLPP, and that it is made of “the disgruntled”. It is tempting to make such a conclusion, but it could be unwise for any of the established parties to write off the chances of the NGC at this time. It would be worth remembering that elections are won not because people vote for a particular party, but because they vote against it. In spite of all the undesirable baggage that Donald Trump brought to the political platform in the USA, he won the elections. Among the various reasons postulated for his victory, the overriding cause was an indication of a social rebellion that was sweeping across the political corridors of the USA at the time. People felt let down, unheard and hoodwinked to a point that, they were ready to vote for anyone that served up a different menu from the usual. When Yumkela entered the political fray under the banner of the SLPP, he was met with a cult like loyalty of the party to Maada Bio. The post of presidential aspirant was apparently non-negotiable. The political gridlocks he faced are well documented. It was not surprising that he packed his bags and left the party, which does not only see Maada Bio as a cult figure, but as the Anointed One. What surprises many people is the time it took him to get off the train. Some men change their party for the sake of their principles; others their principles for the sake of their party. In changing course, Yumkela has maintained that his decision was guided by his principle and desire to “Put Salone First”. You be the judge. Interestingly, there is always the suspicion that many of the great cultural shifts that prepare the way for political change are largely aesthetic. Nevertheless, Yumkella has undertaken major efforts to bring the general public to understand the real reasons for their plight, and the possibilities for radical social and political change to construct meaningful popular control of all institutions – in communities, in the workplace, in the larger society, and on to the international order. This is beginning to sound like music to the public’s ear. Although Political change, academic, and intellectual change are obviously crucial, the risk is that they don’t necessarily change society. They can change a particular class and give everybody in those class great arguments, but that doesn’t necessarily translate into the body of the culture. Sierra Leone has always been saddled with an overriding political culture of a one-party state. Even when we have had multi party in theory, the dormant nature of the opposition has always left a vacuum for one party state; which in itself has eroded some of the confidence and any hope for change among voters. In spite of these misgivings, there can be no denying the fact that today’s political climate is a reflection of the wind of change; that “democratic accountability means that governments must be popularly accepted, with citizens empowered to replace corrupt or incompetent rulers”. It would not be far-fetched to conclude that this is the kind of feeling one gets from the new found followers of the NGC party. It is an undeniable fact that the NGC is gaining some mileage on the political road map. Part of the reasons may be people’s belief that we have a complete void of progressive politics in this country right now. The will of the people goes ignored and unrealized; hence the search for a strong third party to enter the political system. That takes some serious consolidation. The NGC in Sierra Leone seems to be making a lot of noise in our ghettoes, ataya bases, in Poda Podas, Abacha Street and among our “celebrities”. We are all aware that Third party politics, at least, always have an element of romance in them. People may like what third-party candidates say, because often they are the only ones saying anything. Unfortunately, they usually won’t vote for someone who doesn’t have a chance. Some liken the role of third parties to bees that sting, and then die. The case might be different here; as interestingly, most people feel that progress and good things are usually brought about by the existence of third parties. They can be forgiven to relate to NGC as the party for national redemption. It is therefore not surprising that the established parties always see a third party as a rude awakening. It is times like these when the political elite start taking note and start listening. All sense of complacency and the culture of taking the voters for granted seem to evaporate. Although there are some voters who would think that a Third party might not win the elections next year, but we could be seeing the shift away from a two party system unfolding. That is when it becomes desperate. This has been evident in the recent pockets of violence erupting among opposing voters. The SLPP Publicity Secretary, Lahai Leema was a guest at the CID yesterday; and this was for allegedly insinuating or promoting violence. There is a seeming and long assumed misconception that violence is necessary for political change. The backdrop to that may be some people’s idea that rulers never cede power voluntarily. As such, some progressives may feel that they have no choice but to contemplate the use of force to bring about a better world; mindful of the trade-off between a small amount of violence now and acceptance of an unjust status quo indefinitely. 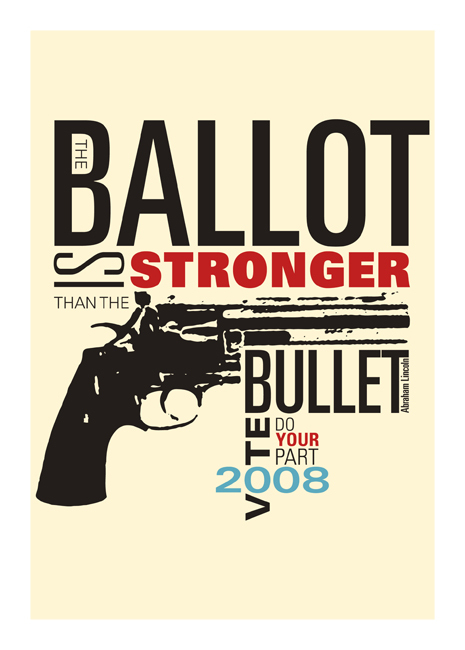 I do not subscribe to such a notion and this is because of my firm and unadulterated belief that “the ballot is stronger than the bullet. This is no judgement on the allegations, but it is worth noting that those who corrupt the public mind are just as evil as those who steal from the public purse. If the events of the past few weeks are anything to go by, then it is clear to say that these are desperate times that do not augur well for the political sanity of our nation. It is fast becoming imperative for all Sierra Leoneans to engage in the political life span of our country. In these difficult times, there is no such thing as ‘keeping out of politics.’ All issues are political issues, and politics itself as we know is a mass of lies, evasions, folly, hatred and schizophrenia (George Orwell). Just because you do not take an interest in politics doesn’t mean politics won’t take an interest in you. As voters, we don’t decide issues; we decide who will decide issues. Like any other political situation the world over, elections are adulterated by racism, tribalism, nepotism, and so on and so forth. But in the midst of all these, it is always rewarding to vote for principle. Although you may vote alone, but you may cherish the sweetest reflection that your vote is never lost. Sadly, we tend to hang the petty thieves and appoint the great ones to public office. Since the end of our senseless war, our country has had a sip of what it means to conduct democratic elections. Like any other elections the world over, our country is not immune to the political gymnastics and political gerrymandering that punctuate such civil exercises. But it is safe to say that we have enjoyed relatively violent-free “democratic” elections in the most recent political cycles. We have witnessed the disruptions, angsts, accusations and tensions that followed the recently concluded elections/selections of the flag bearers for our respective political parties. The political dustbowls that followed these internal party activities seem to be settling down. The APC convention for the flag bearer was met with consternation, to say the least. The SLPP’s was seen by many as pre-ordained. Last Sunday, Yumkella won by a landslide; virtually unopposed. Now that the stalls have been set out, is it time for all of us to think of Mama Salone; as we go about preparing for the tenants of State House and Parliament Building? Lest we forget, our president Ernest Bai Koroma has literally served his mandated term. The conduct of next year’s election could be, in the eyes of Sierra Leoneans, the litmus test for his term time report. He has had his fair share of criticisms and compliments. In the midst of all these, there can be no denying the fact that he has had significant success during his term in office. But that can all evaporate, if he does not oversee a free, fair and peaceful election for the people of Mama Salone. Dr. Ernest Bai Koroma owes it to the people of Sierra Leone. You owe it to the children of Sierra Leone. You owe it to posterity. Lastly, you owe it to your legacy. There can be no greater citizen in Sierra Leone to ensure a free, fair and peaceful election to our people; and you have it in your power to ensure it. Does Putting Salone first mean you should be at the helm of things at all costs? If the shambolic election of Dr Yumkella as flag bearer of the NGC in a quickly convened convention where he ran with two virtually unknown entities even within the NGC or by the NGC standard is what putting salone first means, then we are in for a big shock if the voters buy into this subterfuge come 7 March 2018. Many former flag bearer aspirants in the SLPP followed Dr. Yumkella to the NGC. If these former candidates who vied for the flag bearer position in the SLPP thought they were presidential materials and that they could not compromised to stand for anybody in the SLPP, why were they missing in action at the NGC flag bearer race? The simple answer is that the NGC is the KKY Movement and unlike the democratic SLPP (despite its schism), democracy in the NGC revolves around the owner and proprietor of the NGC Dr. Yumkella. How come that with all their Media Broadcasts, not single mentions was or has been made about the two other aspirants before the NGC convention last week? It tells that they were asked to show their names so that it will not look like a “conbention” burrowing the words of one Dr John Leigh formerly of the SLPP now of the APC fame.